KOBAS EPoS and Cloud have always worked together to calculate your theory ingredient consumption based on your item sales. This allows you to compare theory with actual usage, and of course see which item sales are bringing in the most revenue. From its inception KOBAS EPoS has allowed you to log wastage of a whole PLU, but it didn’t cater for individual product or ingredient loss. 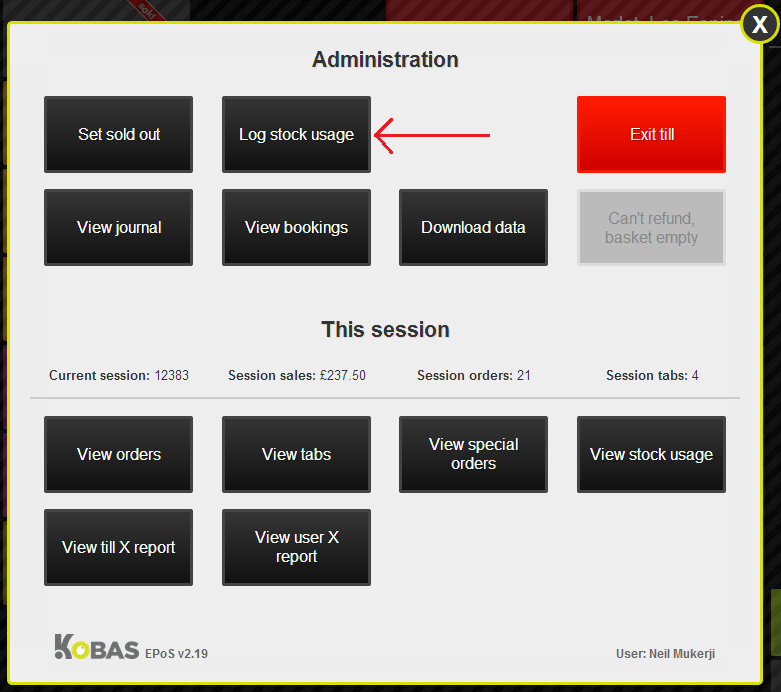 Earlier this year we introduced the ability to log unusual stock usage on KOBAS Cloud. This means that if you make up products that have to be used every day and you have some left over, or there’s an accidental drop, or even if you’ve given something away for compensation or marketing purposes, you can log onto KOBAS Cloud to note that down, and your stock levels will all balance up. We have increasingly seen venues using iPads back of house to run KOBAS EPoS, allowing all staff to clock in and clock out without having to use the front of house tills. It was therefore a logical next step to let the kitchen staff log their waste on the same devices, so we’ve added a clear and simple interface to let them do just that. 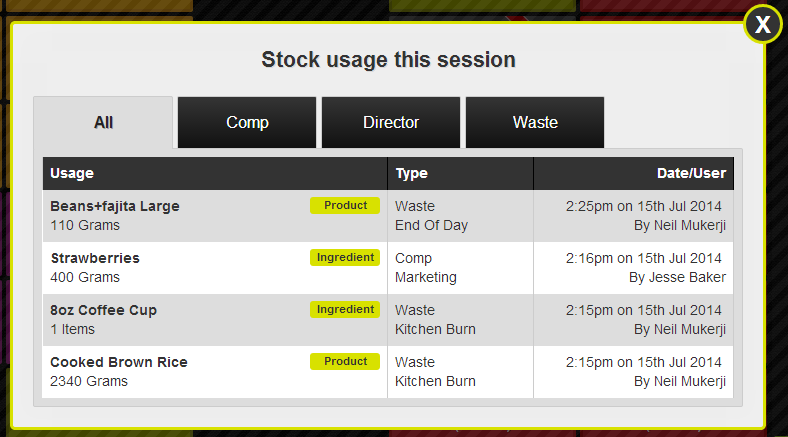 To log waste, start by tapping the Admin button, and then the log stock usage button. When the basket is empty this will launch the new ingredient usage section. If there are items in the basket, this will let you waste those items. With all this done, the usage will show on KOBAS Cloud! The latest version of KOBAS EPoS is available now and also includes performance optimisations, and protection against brute force PIN login attempts.